Expand your network, forge powerful relationships with federal agencies, and increase your federal sales. Do you have a product or service that you would like to get in front of government buyers and end users? 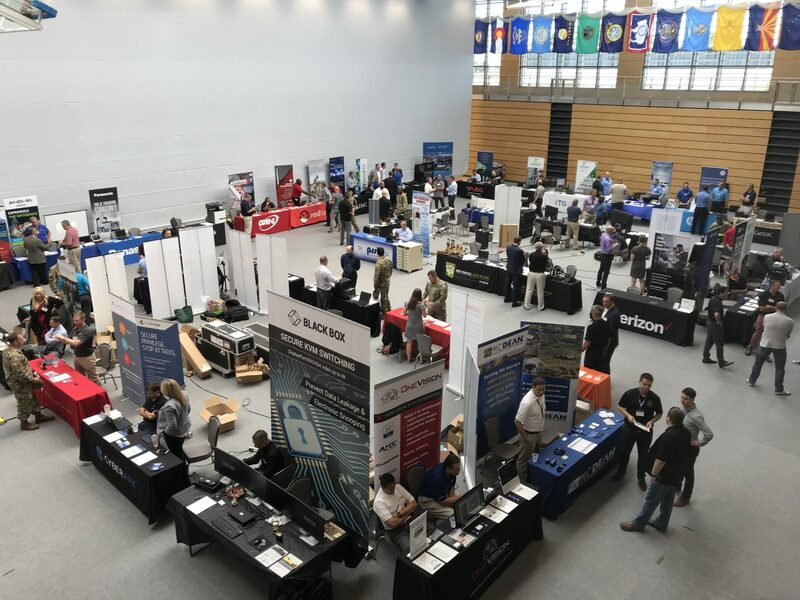 Exhibiting at an event produced by NCSI for the DoD, IC or Federal Government, provides valuable outreach opportunities for both large and small businesses. The result is an efficient dissemination of information to government personnel and an effective means of marketing and networking for technology related industry partners. Allow our expert staff to match you with the best solutions to effectively meet your marketing objectives and budget. Exhibiting at expos, tradeshows, conferences, and events is often one piece of the overall marketing strategy companies use to get their message across to potential customers, enhance branding, and reach their target market. Participating in NCSI produced events affords each company the backing of an entire team of professionals dedicated to matching government and industry customers in an environment conducive to networking, demonstrations, and strategic conversations. The NCSI marketing team focuses on meeting with key decision makers and end users with specific and targeted interest in the companies registered to exhibit at the events. This one-on-one tailored approach is unique to the industry and leads to the highest ROI. Spending a day out of the office at an event should be productive and yield results. Exhibitors save valuable time and money while achieving numerous sales and marketing objectives while engaging in ethical, effective, and efficient forums. I have worked with NCSI as an Air Force Officer, Defense Contractor, OEM Vendor and Federal reseller over the past 15 years. They have always succeeded in running professional, well-run events throughout the Federal Government ecosystem. Thanks so much for all your support. From all accounts, the event and activities were a big hit! Thanks again for everything, looking forward to more great events with NCSI. Absolutely loved the Tech Expo. Phenomenal new technology and innovative tech resources. Thank you for inviting us. I wanted to thank you for setting up the VIP access and the entire tech expo here at the Pentagon this week. I had at least twenty additional folks attend the event and they came back to the office with a bunch of ideas on how we can implement some of the devices into what we are trying to do here at the Army G-2. Trust me, no one sets up government related expos like you and your NCSI team does. This was the second NCSI expo that I've been able to attend over the past year. I have to say that I am quite impressed. Your efforts are truly appreciative and admired by me and my division here in the U.S. and our U.S. troops abroad. Thank you. Contact NCSI today and let us show you how we can help forge powerful relationships with federal agencies and increase your federal sales domestically and internationally.